We will be making additions to this large archive of concert photos until all groups are live. Join the free mailing list to the left to receive updates. Being in San Francisco in the mid to late 70s with a 35mm camera rocked when it came to concert photography! Under 15 bucks a ticket to classic venues like the San Jose Civic, Winterland and Bill Graham's Day on the Green. Festival seating. No confiscated cameras. No three song photo limit. Just get in line early, wait for the doors to open and run like hell to the front of the stage. The majority of concert photography in this catalog has never been printed before. These concert photos were taken between 1976 and 1980. They were shot exclusively at various Bay Area venues. Also see Greg Myhra's gallery of premium rock concert photos, Delicious Noise. 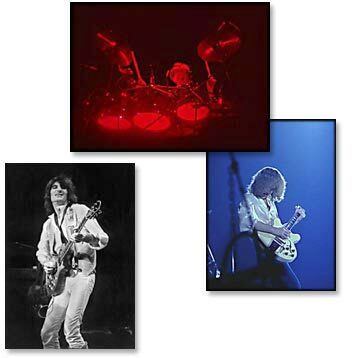 And while we're being noisy, Greg also has a variety of concert and racing images available through his eBay store, Classic Noise. All concert photographs offered for sale are scanned at high resolution and digitally printed to archival specs. See About Prints for more info. Rock concert photography by Greg Myhra. 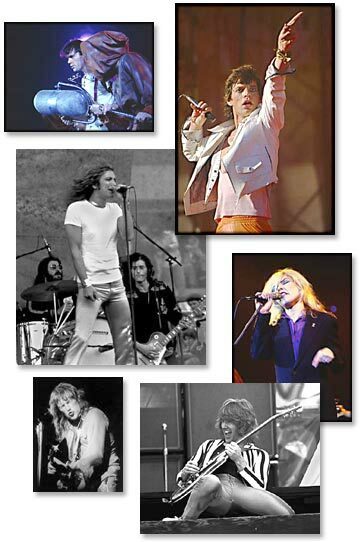 Concert photos shot exclusively at various San Francisco Bay area venues between 1976 and 1980. The majority of concert photography in this catalog has never been printed before. These concert photos were taken between 1976 and 1980. They were shot exclusively at various Bay Area venues. Also see Greg Myhra's gallery of premium rock concert photos, Delicious Noise. Also visit Greg's eBay store, Classic Noise for a variety of auto racing and concert photos.